You can send marketing emails from you in-house email system. Or, use one of the top email marketing service providers (ESP). 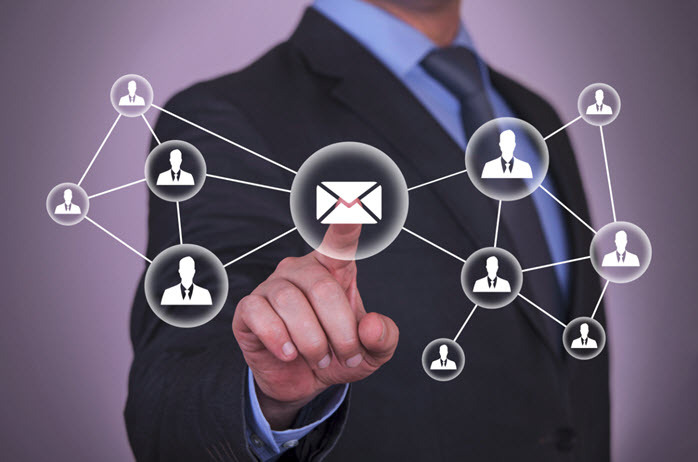 These providers help companies set-up and deliver email marketing messages. One of the best reasons to use ESP’s is the wonderful tracking tools. Many of the top email marketing service providers integrate their measurement tools with Google Analytics. When you can tie email marketing campaigns to your Google Analytics account, you get a true picture of your campaign’s results. The graphics packages provided by these ESP’s are also very useful for firms with a small or over-extended design staff. With a wide range of designs offered by the ESP’s, senders can usually find the look they need. What should you look for in email marketing services provider? Start by defining your key needs. Do you need to build a large list? Do you want in to integrate with Google Analytics (or another stats package)? Do you need help with design and require a robust set of free email marketing templates? In most cases, you will want to use an email marketing service provider to grow your business or web site traffic. Your ideal service should help you maintain contact with your target audience, your subscribers and prospects. Ultimately, you should select a service that helps you deliver messages effectively and measure results easily. The best ESP’s offer a wide range of useful features to help you create your email messages, send your message and measure results of your campaigns. You will want an interface that is easy for you to use. Look for a provider that offers a free trial so you can test drive their system. A test-drive allows you to see first-hand if the ESP’s system works for you. Give it a full test create and send to make sure the process of setting up a list is straight forward. The best providers will also help you develop your contact list, with features like forward-to-a-friend. If you are going to fully embrace email marketing, you want system that makes it easy to launch a campaign. Look for a provider that offers a wide library of design templates. Some providers can also assist you in customizing their templates. You will want a reporting function that gives you the information you need. Here again the important consideration is your needs. Look for a report feature that provides the information you need an easy-to-understand format. If tracking is important for you, make sure your ESP allows you to add links to your email campaign. We think it’s important to have the option of speaking with a real person (whether via phone or online chat). You should also select a provider with a very deep knowledgebase and a range of online training. 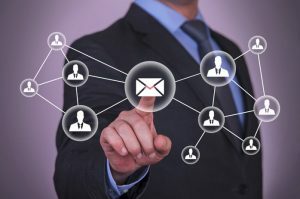 Which Email Marketing Service Providers are the best? In future posts, we will provide a review of these top 5 providers. If you have experience with a provider, let us know which one has worked best for you.